Here at Aviation Recruiting we make sure that we select the best possible candidates to suit the needs of our clients. In order to do this we take measures and put forth efforts in order to recruit the best of the best when it comes to professionals in the aviation industry. We can provide you with a full spectrum of employees including aircraft maintenance technicians, corporate professionals, and senior level executives. 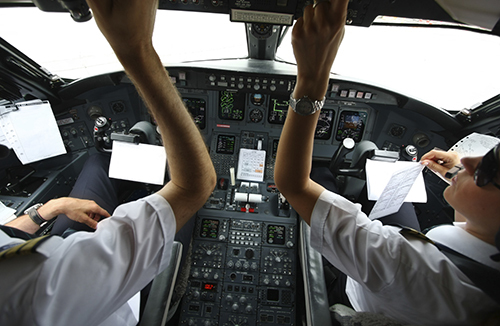 We understand FAA regulations and the importance of finding a qualified professional. Work with highly skilled personnel who understand the maintenance, repair, and overhaul industry with backgrounds to work in the commercial and military sector. Employees are updated in all certifications, whether you need someone with an A&P license and a background in A, B, C, D checks, or an Engineer with specific airframe experience. We are experienced in the intricate parameters of aircraft maintenance and repair for the DoD and government settings. Over 80% of our employees began their career in the military and then transitioned to civilian employment. Work with highly skilled individuals who understand the intricacies of regulated aerospace manufacturing. We have an extensive database of engineering professionals, to include FAA certified DERs and DARs. Find highly qualified people with the skills you need.